When I started turning, I quickly got the bug for it and as with any new undertaking - think painting, fishing, photography, cycling, etc. - wanted to know as much as I could as quickly as possible and also have the right kit so I could start as soon as possible. Invariably this eagerness to start coupled with my lack of knowledge resulted in a lot of mistakes, both purchase and technique wise, on my part. I had a lot of information stored but it was jumbled, and I didn't know how to process and properly use it to make truly informed decisions. This experience is echoed by many people who start turning. I was fortunate that a while after starting turning, people offered to help me and share their experiences in turning and those friendships grew and grew. While each person's experience is slightly different - as, at times, is their way of doing things - there are core elements in turning that are universal to all people who turn. Support in some form from people is vital to all of us in one way or another. The trouble is that when starting turning, you may not know if there are other turners near to you, whether there are clubs around your locality, or if there are any national or international organisations that may be able to help you, too. I have, in this article, included a panel with contact details of organisations that you might find helpful in your journey that is woodturning. In this series, I will break down the core elements of what you need to know about learning to turn. I will concentrate on showing, explaining and using a basic setup of kit and equipment in easy-to-follow sections. My aim is to provide you with the knowledge to be better informed and armed to make better decisions to get you turning safely, and hopefully having a lot of fun along the way. Just to spice things up a bit, I also will be calling on other turners to comment with sage advice and hints and tips as we go along, too. It might sound strange but I am not going to start with looking at lathes, tools, other equipment and techniques to use them - we will get to those later on in the series - but instead, start by looking at the material most of us will use when starting turning: wood. 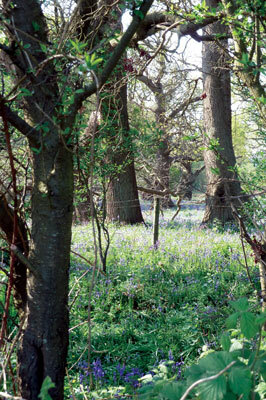 Trees grow all around us and wood is a much treasured material to work with and, as turners, we are fortunate in being able to use many varieties that would otherwise be discarded or burnt. We can choose wood according to its colour, figuring, strengths and working abilities. As your experience develops, you will find out what woods you like working with and also which ones are best for what job. But following are a few things that will help you in your tentative first steps. Wood species are usually classified as either softwoods or hardwoods. 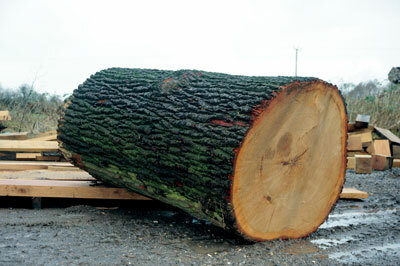 Softwoods come from a group of trees called gymnosperms, which includes conifers. Softwood trees typically do not shed their leaves during winter. Spruce (Picea abies), pine (Pinus spp. ), cedar (Callitropsis nootakatensis) and larch (Larix decidua) are just some examples that come to mind. Softwoods are often used in the construction industry and columns, spindles and balusters are just a few of the turned items typically found made from them. 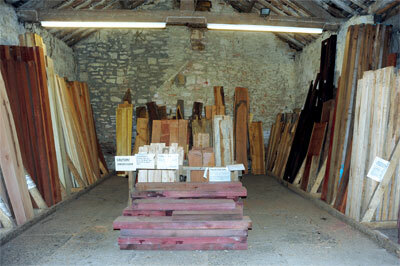 They are generally cheaper - usually much more so - than hardwoods and can be great to practise cutting wood on. Softwood is not very forgiving of mistakes, but shows beautifully well-made cuts with sharp tools and correct technique. The other wood group is called hardwoods. These trees are from what is called the angiosperm group. Hardwoods are typically trees that shed their leaves in winter. 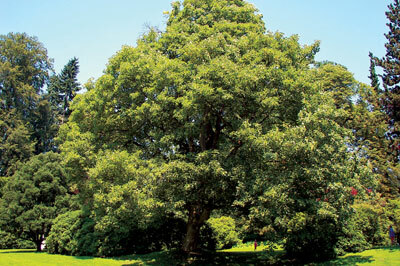 Woods such as oak (Quercus robur), ash (Fraxinus excelsior), maple (Acer campestre), walnut (Juglans regia), apple (Malus sylvestris) and sweet gum (Liquidambar styraciflua) are all woods from the angiosperm or hardwood family. 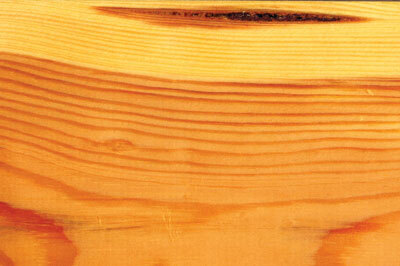 This type of wood is usually slower growing and usually harder and denser than softwood. That said, as with many things, there are always exceptions to the rule. Yew (Taxus baccata) is a very hard close-grained dense wood but is actually from the softwood family. Balsa (Ochroma pyramidae) is actually a very soft, lightweight hardwood. 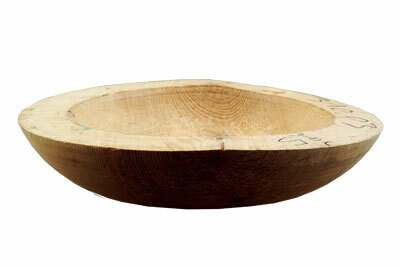 Hardwoods can generally be used for a wider variety of turning projects than softwoods. 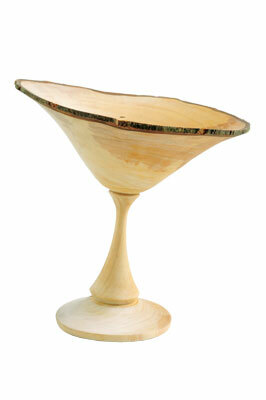 Examples include spindles, bowls, platters, goblets, vases, hollow forms and much more. 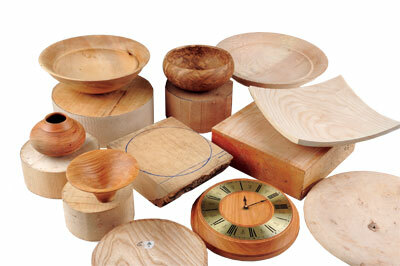 So hardwoods are typically used for both spindle and faceplate-turned items. 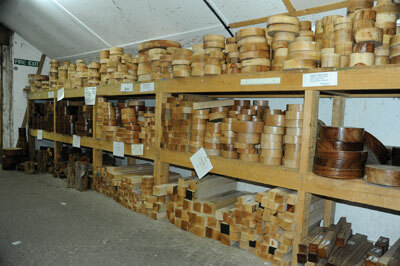 Good woods to learn to turn with are close-grained hardwoods such as sycamore (Acer pseudoplatanus), maples (Acer spp.) and fruitwoods. They hold detail well, you can see very clearly what is happening when you cut them and they finish well off a properly sharpened and presented tool. There are many companies who supply wood to turners who will be able to advise you as far as the type of timber and how it is cut for the projects you wish to make. 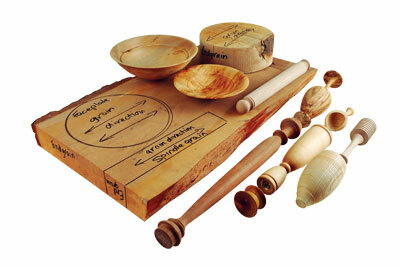 I have mentioned spindle and faceplate turning and here are fuller descriptions of these two types of turned work. There are two types of turning, which are defined by having the grain orientated in a certain way for each type: namely spindle turning and faceplate turning. Balusters, columns, chair legs, spindles, goblets, single-piece candlesticks, drawer knobs, some hollow forms, boxes and vases are, to name but a few, 'spindle-turned' projects. They all have one thing in common: the grain of the wood runs along the length of the piece of wood. 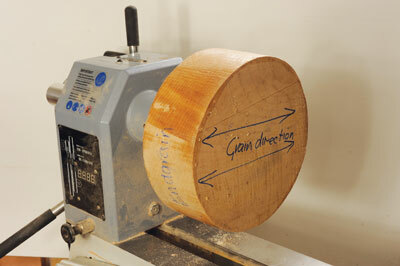 When the wood is mounted on the lathe, the grain runs parallel to the bed bars. Often such projects are quite long and narrow in relation to the length. If the grain ran across the narrow width they could easily break, so the grain is aligned in such a way as to provide strength. Bowls and platters, bases for two-part candlesticks, as well as a few styles of boxes and hollow forms are some examples that fall into the category of faceplate turning. This type of work has the grain running across its width. 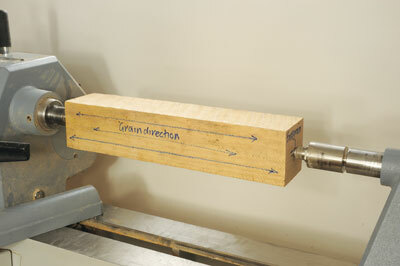 So when the wood is mounted on the lathe, it has the grain running at 90° to the bed bars. 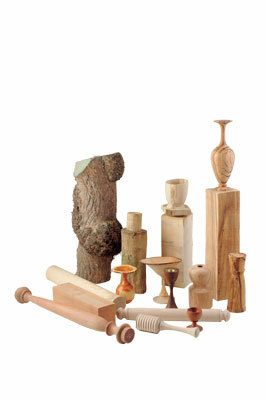 As with spindle turning, we will look at holding and cutting/shaping this type of work in future issues, but between the two types of turning, there are plenty of options to explore: utilitarian/functional items, sculptural, architectural as well as beautiful pieces whose sole function is to be admired. The object of seasoning timber is to remove most, but not all of the water/moisture from the wood and to do so gradually in a controlled manner, with as little degradation to the wood as possible. 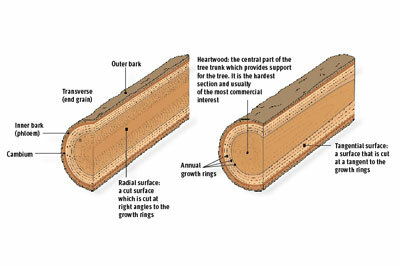 If a tree is felled and left whole, then the cut ends will show splitting and cracks after a short period of time. This is due to the differential moisture loss. The cut end of the timber will lose moisture very quickly but the inner solid section will have a slower drying rate and as the drier wood shrinks at a faster rate, it creates stresses and tension and thus splitting occurs. For air-drying the boards are typically stored - either horizontally or vertically - in a building sheltered from the elements but stored in such a way as to allow airflow through the boards. A rough rule of thumb is that it takes one year per 25mm of board thickness to season/dry the wood to a level where it does not lose any more moisture. How much moisture the wood retains depends upon factors such as where and how it is stored, temperature and relative humidity. This is typically called equilibrium moisture content (EMC). In the UK, this would mean the wood has an EMC of about 15-20%. This does not mean that there will be no further movement due to moisture loss and shrinkage of the wood when the wood is moved to a drier environment, but it will be much reduced. Movement also occurs due to tension release. 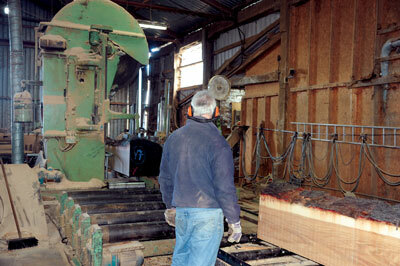 Once the boards are cut to the sizes required, they effectively relax to a new position. This is where boards are placed in a chamber/room, which is sealed and equipped with means by which the heat and rates of air movement may be controlled in order to dry/season the wood. Drying in a heated chamber is very effective, but the subject is quite complex. This process is able to reduce the moisture content consistently over a considerably shorter period than the air-dried method - typically weeks rather than years. It is a very good process but it can cause the wood to dry out too quickly, thus resulting in severe degradation within and of the timber. The moisture content can be reduced to about 10%, which is about right for a centrally heated house. If the wood is not stored in such a location after drying, it will pick up moisture over time from the environment, which could mean the moisture content goes back up to about 15-20% if in the UK; this is known as 'moisture pick up'. 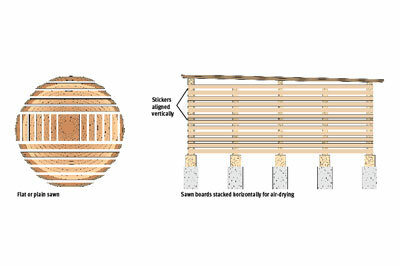 Dimensioning kiln-dried wood further may result in some tension release. Buying logs is the cheapest way of purchasing timber and gives the buyer freedom to cut the wood in whatever way suits their needs. That said, the conversion of them - and having the knowledge of how to get the most from them for your purposes and the subsequent transportation, equipment required and storage, coupled with knowing how to dry and season them and the issues associated with shrinkage, warping and movement - can be problematic. It is certainly something to consider as you progress, but it is not something I would recommend for those just starting out. I do, however, think that using smallish branches of timber can work well for some projects, and I will look at the implications of using such sections later in the series. Turning such green wood from start to finish can be great fun. There will be movement due to moisture loss and shrinkage and to prevent splitting and cracking requires the turned item to be uniformly even in wall thickness, which minimises uneven shrinkage rates. Usually these projects are turned very thin and the resulting change in shape adds another dimension to your turning with some surprising results. 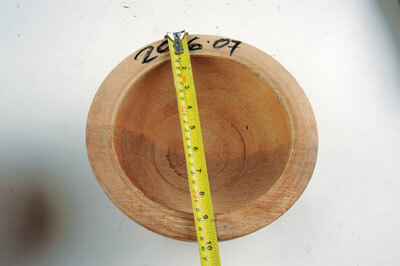 There is another process called rough turning, by which a piece of wood is turned and left at a uniform wall thickness, typically 10% of the overall diameter, but maybe a bit thicker. Once rough turned the work is set aside for a period of time. How long it should be left for depends upon whether the wood was green or air-dried. The piece is then remounted on the lathe and turned to the final thickness. This ensures minimal movement later on, whether due to further moisture loss, stresses or tension release. Boxes are ideal to be rough turned first, or you can encounter problems with the fit of the lid later on. We will come back to this subject. Planks and boards of wood can be bought in various widths and thicknesses, cuts and dryness and this is the next most cost effective way of buying timber after the whole trees. Again, there is a need for some equipment to cut such items - mid-sized bandsaws being an ideal option. You simply buy the thickness and type of cut of the board you want and then it is up to you how you cut it to get what size and type of project you want from it. Again, I would recommend holding off on buying this type of timber until you have a bit more knowledge. This can be bought as air-dried/part seasoned or kiln-dried. To start with, it is easiest and the most convenient to buy pre-dimensioned timber which is cut specifically for turners - blanks. These are available in various shapes and sizes and can be round or square, occasionally in lengths of branches and small diameter logs - depending on requirements - and to suit different types of turning project. Although this is a more costly route, it saves a lot of hassle for someone starting out turning and, as mentioned previously, when you progress and are more confident, you may, if space and equipment allow, look at buying planks or logs and cutting wood to the size you require. Often these sections are waxed or sealed, which means that they will not take on or lose moisture content too much when in storage. The pre-cut sections also allow you to clearly see what you are buying as well as the grain and figuring of the wood being clearly visible along with any faults. These can be wet, part-seasoned or kiln-dried, so ask for assistance in identifying this if they are not clearly labelled. There is one other category of timber that is loosely called found wood, free wood, 'you burnt it, but we turn it' type bits and pieces, but in truth, these can be anything and of varying states of shape, size, water content, etc. As we get given or find many different bits of wood, many of us really will want to try and use them, if we can. There are many different things that can be made from such pieces, and I will deal with the oddments and issues that we face in using them in future projects. As you can see, there are many issues involved in converting, seasoning and drying wood and how the wood moves and behaves during this process. I recommend some books, details of which can be found below, that discuss wood and in some cases its conversion, cutting and seasoning in detail. They are well worth reading and will provide you with more in-depth knowledge about the subject. Wood is a wonderful resource, but as with many things, there are potential problems when working with it. Some woods can act as sensitisers due to extractives such as resins, tannins, sap and other chemical compounds or organisms growing on the tree. This may be either by direct contact with the wood itself or through exposure to its dust. Yew (Taxus baccata) is one such example where some people have developed an allergic reaction to the wood either respiratory or skin contact-wise. There are also other woods that fall into this category. Exposure to wood dust is also potentially hazardous to health. Respiratory, skin and other problems have been recorded and in extreme cases rare forms of cancer are associated with exposure to wood dust. 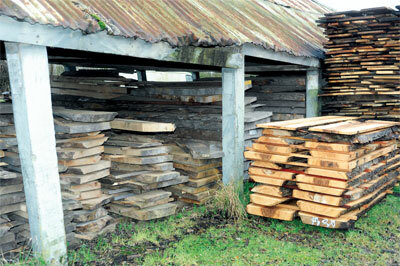 Government bodies have created lists of problematic timbers, but do not assume that these lists are exhaustive. Here are a few websites that I would urge you to look at. 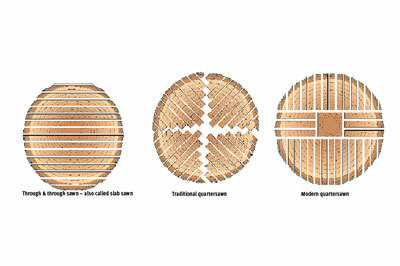 These will allow you to explore more fully the issues of wood and potential problems when exposed to or working with it. I would caution you to treat all wood dust as potentially hazardous and do everything you can to minimise exposure to it, at all times while in the workshop. We will be looking at Personal Protective Equipment (PPE) and extraction for the workshop in a later issue and will revisit this further then. 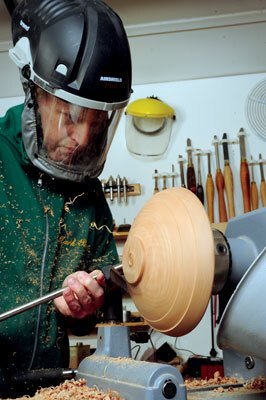 Woodturners Society of Queensland Inc.